Happy Wednesday, loves! This week is flying by! We are getting closer and closer to the weekend and that's definitely something to smile about. You know what else is something to smile about? Randomness! Here's your weekly dose. 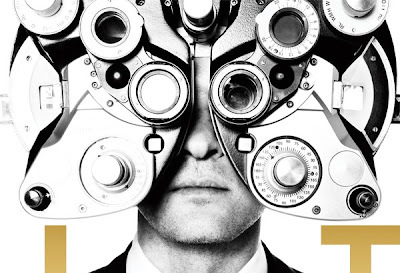 Have you listened to JT's new album in it's entirety? I can't get Mirrors out of my mind. It's such a great song! I've been hooked since JT's performance on SNL. Have you heard it? I'm wondering if the rest of the album is as good as Mirrors and Suit & Tie. If you've heard it, do tell! Y'all know how much I love eye shadow palettes. 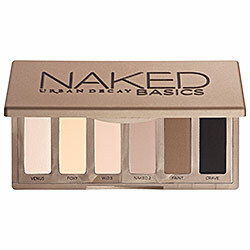 And I adore my Naked 2 palette that my sweet Mama gave me for Christmas. Check out this mini version that is great for on-the-go. I'm thinking that this little baby needs to come home with me...soon! 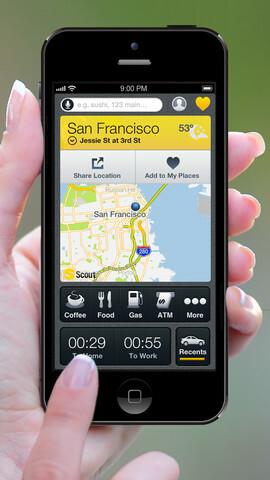 With all my travel lately, some of which was in a car, this app is my new travel companion. Meet Scout. The best free gps app I've found for the iphone. I can't say enough great things about this it. Scout speaks directions, counts down estimated time of arrival (based on speed and traffic) and so much more. It's AWESOME and FREE. Download it now! Lastly, my thoughts and prayers go out to those harmed by the Boston Marathon explosions. It was such a senseless act and I hope our government can get to the bottom of it soon. In the meantime, let's pray for those harmed and the families of those that were lost. Sorry to end on such a sad note but I'd be remiss if I didn't mention my heavy heart. Have you entered her giveaway yet? ohhh downloading the app now! Thanks for the tip! Suit & Tie is one of my new favorites! I need to check out the rest of the album. Thanks for sharing about Scout, I will be downloading this today too! We are that much closer to the weekend! Woohoo!! I bought the album and have listened to it in the car a few times but I always find myself playing Mirrors on repeat-- whoops! At least I have the option of listening to the rest if I want to. i need to listen to JT's album still!!! I love that eyeshadow palette, use it every day!